One of the first things that a police officer who stops you under suspicion of drunk driving will do is give you a field sobriety test. This is an exercise that is supposed to show whether or not you are impaired by alcohol. None of these “tests” are very reliable, but there is a difference in the tests. Three types of field sobriety tests have been studied by the United States Department of Transportation, National Highway Traffic Safety Administration (NHTSA) and are considered to show a good correlation with impairment. These three tests are known as Standardized Field Sobriety Tests (SFSTs). The other types of field sobriety tests that an officer may give you do not have this sort of official sanction. The horizontal gaze nystagmus test measures the back and forth oscillation of the eyeball. The test is usually done by the officer moving a pencil back and forth and asking you to follow the pencil with your eyes while the officer looks for bouncing of your eyes as you follow the pencil. The walk and turn test requires you to take nine heel-to-toe steps along a line, then turn in a specific way, and then take another nine heel-to-toe steps along the line. The one leg stand test requires you to stand on one leg while your other leg is extended in front of you in a stiff-leg manner, with the foot six inches above the ground. You are then told to stare at your raised foot and count out loud until told to stop. Although the National Highway Traffic Safety Administration has said that the results of these tests can correlate with driving impairment, it also warns that the tests must be given in a specifically prescribed, standardized manner, and that variations from ideal conditions and standardized procedures might affect the results. Often, officers will use one or more of other types of field sobriety tests. These tests have not been authorized by the National Highway Traffic Safety Administration and are not recognized as having any reliability, but officers will have you do them anyway. The finger to nose test can have different variations, but the main part of it is that you are to close your eyes and then touch the tip of your nose with the tip of your index finger, and then do the same thing with your other hand. The alphabet test requires you to say the alphabet, but starting with a letter other than A. As its name suggests, the count backwards test has you count backwards. For example, count backwards from 90 to 70. The hand pat test has you place one hand palm up and in front of you, and your other hand placed on top of it with the palm down. The top hand pats the bottom hand once and then is rotated 180 degrees to pat the bottom hand with the back of the top hand. This continues until the officer tells you to stop, and you are supposed to continue to increase the speed. None of the field sobriety tests are particularly reliable. Among other problems with them, they all rely on a subjective evaluation of your physical abilities by an officer who does not know your normal performance. The best indicator of possible driving impairment is not a field sobriety test, but rather a reliable blood alcohol test because the chemical test can objectively determine your blood alcohol concentration (BAC) within the margin of error of the testing method and the instrument that is used. 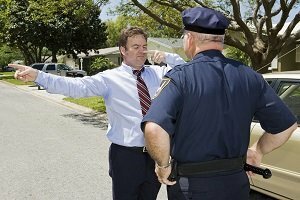 The field sobriety tests can be intimidating, but even the tests that the National Highway Traffic Safety Administration has standardized can be attacked by an experienced DUI lawyer. If you are not already represented by a Merced DUI attorney, consider asking for our evaluation of your case. Complete the short Case Evaluation Form to the left, or you may contact us.